Sean Thomsen says he isn't conspiring against Tracey Jewel with his Married At First Sight co-stars. 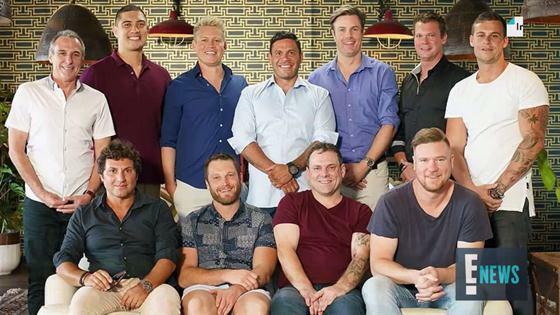 In an interview with Confidential this week, Tracey claimed her ex had formed an "anti-Tracey Jewel Club" alongside Season 5 stars Ryan Gallagher and Nasser Sultan. "It's so sad to see these boys—and I'll say their names, Nasser and Ryan—hate on me publicly," the 35-year-old Western Australian told the outlet. "I'm really disappointed. It just shows their lack of maturity. I've never said a bad word about Sean—or any of them for that matter." But Sean tells E! News there's no joint vendetta against the This Goddess Means Business author. "I think Tracey is holding herself in a bit of a high regard if she thinks we're taking the time out of our lives to form a club," he says. "She's not that important." Nasser, meanwhile, tells E! News, "We know better than to mess with The Goddess." After announcing her breakup with Sean on May 16, Tracey began dating her ex Patrick Kedemos when they reconnected at a Tony Robbins seminar in Cairns. "I've had a few detours but I now know where my heart always belonged," she posted on Instagram June 3. "If two people are meant to be together then they will always find a way." And in new interview with Who, the mother-of-one stood by her romantic decisions. "I've been criticised from jumping from one relationship to another, but guys don't have the same criticism going from one girl to another, right?" Tracey said. "I've done nothing wrong."